7th May 2016 – With less than 100 days to go until the 2016 Rio Olympics, the outdoor track season is gathering pace as the past two days have seen the first IAAF Diamond League event in Doha, and the latest IAAF World Challenge event in Kingston, Jamaica. 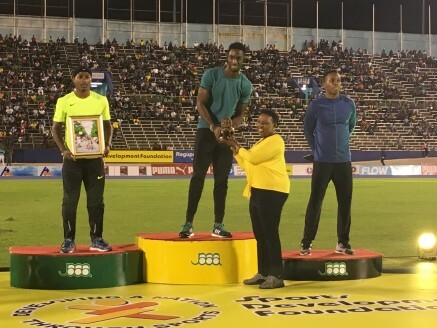 In Kingston, a vociferous home crowd were delighted to see Kemar Bailey-Cole (JAM) power through the final 30m in the mens 100m race to get up and take victory against a high quality field. Ristananna Tracey (JAM) also enjoyed running in her home stadium as she took second place in the 400m hurdles in a time of 55.31. US 200m Champion Jenna Prandini (USA) continued to gain experience of the world circuit by taking fourth place in the womens 100m. In Doha, World 10,000m Champion Vivian Cheruiyot (KEN) made a strong start to her season. Stepping down the 3000m she ran 8:31.86 for fourth place. 1500m duo Bethwel Birgen (KEN) and Vincent Kibet (KEN) also made encouraging starts, Bethwel placing fourth in 3:33.94 and Vincent eighth in 3:34.81. In the US, World Indoor 60m Champion Trayvon Bromell (USA) continued his winning streak as he won the 100m at the Longhorn Invitation in 10 seconds exactly.